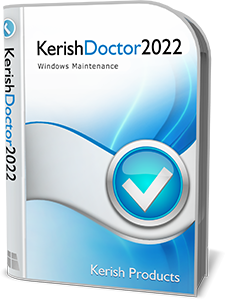 For those of you who don’t know Kerish Doctor 2018 is an integrated solution for computer maintenance that utilizes the most promising developments in this area. Due to its unique system, Kerish Doctor 2018 prevents Windows crashes in real time and also safely fixes registry errors. The application regularly performs a maximally thorough and safe cleaning of your system to eliminate accumulated digital “trash”, thereby increasing the efficiency of your computer in the best way possible. Kerish Doctor 2018 protects your PC against malware and potential vulnerabilities and monitors computer settings that are important from the point of view of security. The Smart Update system promptly updates the application’s databases, which are constantly being improved by our experts. Thanks to this system, the software suite is becoming more effective every day, making our solution the most promising in its class. I have 35 licenses left over from a recent forum giveaway that I would like to give out to our forum members. This giveaway will remain active until all licenses are given out. If you would like one just reply in this forum thread and I will private message you one. Note: You must be a forum member to make a license request.